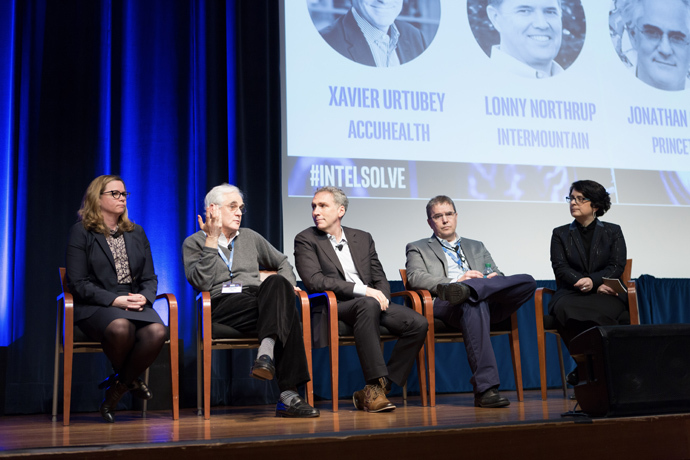 At the SOLVE: Healthcare event last week, Intel’s Navin Shenoy noted that healthcare in the United States is in crisis, making up a shockingly large 18 percent of U.S. GDP. The $3.3 trillion U.S. healthcare system is larger than the national education or defense budgets combined. 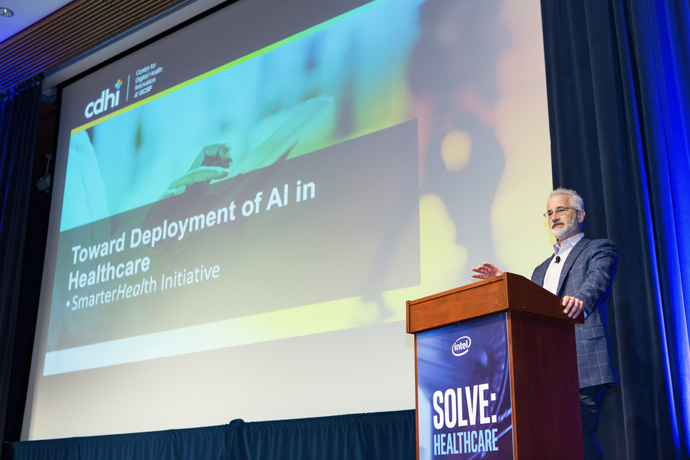 Dr. Cohen was one of 14 partners who joined us to talk about the ways AI is changing healthcare for the better at the SOLVE: Healthcare showcase at the University of California, San Francisco. 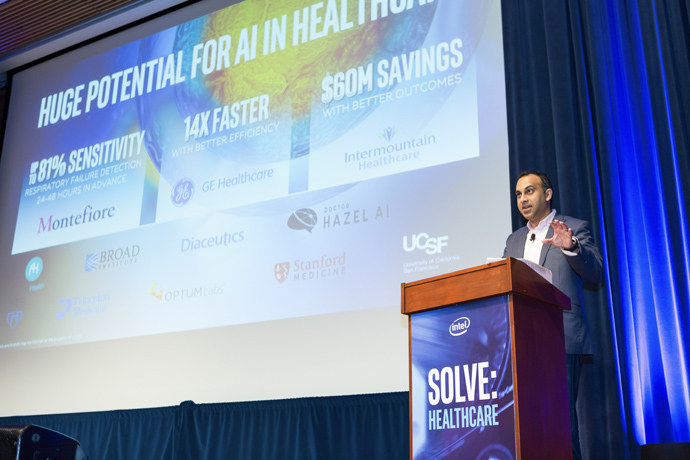 I noted three ways this is proving true: AI shifting care out of the hospital, AI enhancing the work of providers, and AI providing new kinds of medicine. 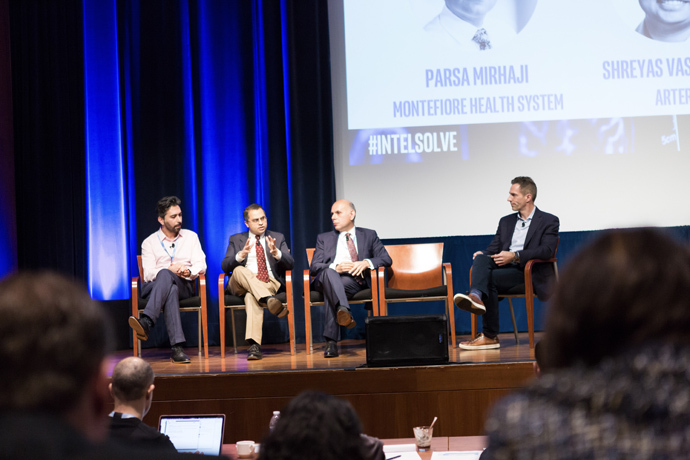 “As an accountable care organization in the Bronx, we want patients out of the hospital and to keep them out,” said Parsa Mirhaji, chief technology officer at Montefiore Medical Center. Mirhaji and the team at Montefiore care for one of the most ethnically and socioeconomically diverse – and underserved – populations in the U.S. It’s critical for them to deliver value, not by providing more services, but by rethinking how they care for that population. 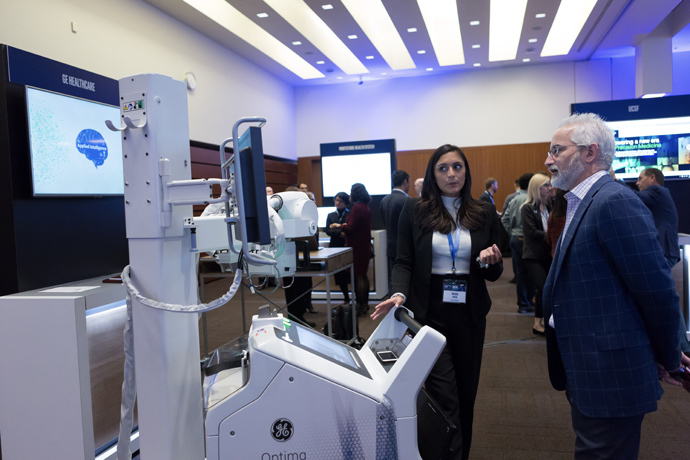 Today, Montefiore clinicians use an AI system called PALM (patient-centered analytics and learning machine) to predict which patients in the ICU are most at risk for respiratory failure. Using this practice at scale can predict which patients are at risk for respiratory failure 24 to 48 hours in advance and can do that with high levels of sensitivity and specificity. Montefiore caregivers hope to extend this prediction model to patients outside the hospital using a variety of data sources – including genomics and socioeconomic data – to determine who will develop chronic conditions as early as two years before they occur. AccuHealth CEO Xavier Urtubey explained that most of the costs for chronic disease come from complications. 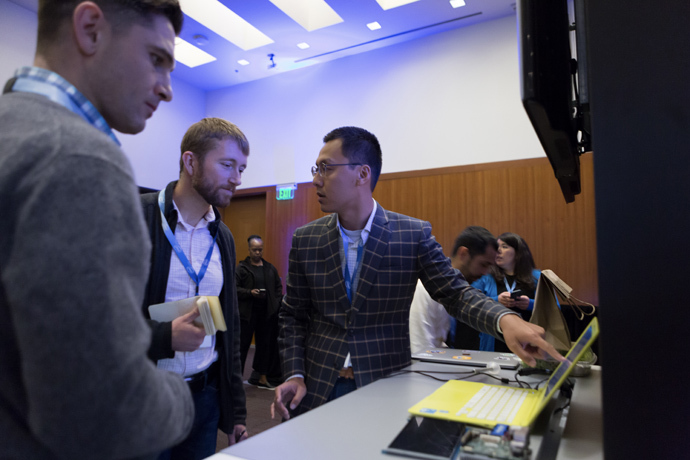 But thanks to the predictive algorithms that analyze data captured from sensors in the patient’s home, or simply by using behavioral data entered in by the patient or their family, they’re able to foresee complications coming two to four days before they happen. They can now reach out to the patient to hopefully avoid the complication. By reducing emergency room visits for patients with chronic conditions like diabetes by over 30 percent, AccuHealth is able to achieve an outcome-based payment model for payers. 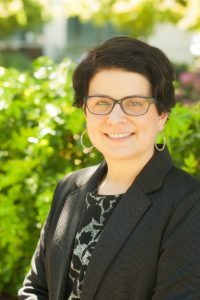 “We’re not going to replace physicians, but we can make lives better, and there is real opportunity to apply this,” said Dr. Rachael Callcut, a practicing trauma surgeon at the University of California, San Francisco and the director of Data Science at UCSF’s Center for Digital Health Innovation. Dr. Callcut noted that helping bedside clinicians sift through alerts and other data in time-sensitive conditions or just fixing the efficiency issues that can reduce burnout will go a long way. 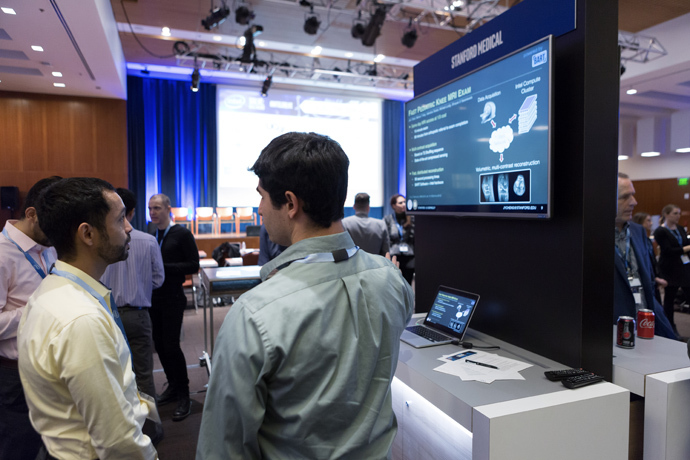 In another example, Dr. Shreyas Vasanawala, Stanford Medical radiologist and founder of AI startup Arterys, said he doesn’t believe AI will replace radiologists. He talked about the field of radiology being a lot broader than just making a diagnosis and mentioned many areas that AI can make a radiologist’s life easier. Those included using AI algorithms to predict how long scanning sessions will take, optimizing scheduling to get more throughput, predicting which patients will show up late to schedule better and get more utility out of the scanner, and using AI to auto-determine which images need to be reacquired. Behavioral therapies can be more effective than drug therapies. The problem is that things like negative thoughts aren’t something doctors can easily observe. Over the past 10 to 15 years, developments of brain imaging tools now allow for tracking internal brain states. 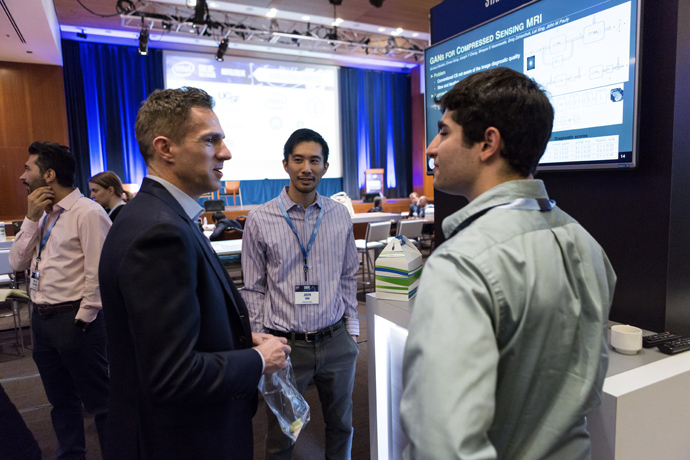 In collaboration with Intel, neuroscientists at Princeton have taken two years of compute time down to real time. “Something that began as collaborative research has become a full-on scientific endeavor,” said Cohen. 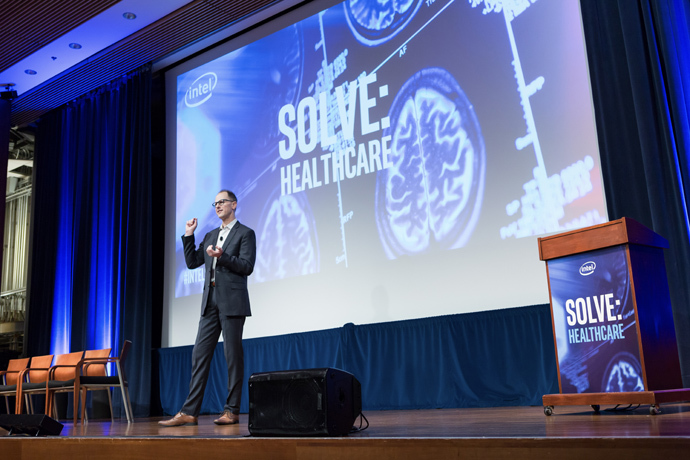 Many more examples of AI at work in healthcare were shared as part of the SOLVE: Healthcare showcase – too many to note here. You can read more about each partner’s AI examples in the backgrounder we prepared. 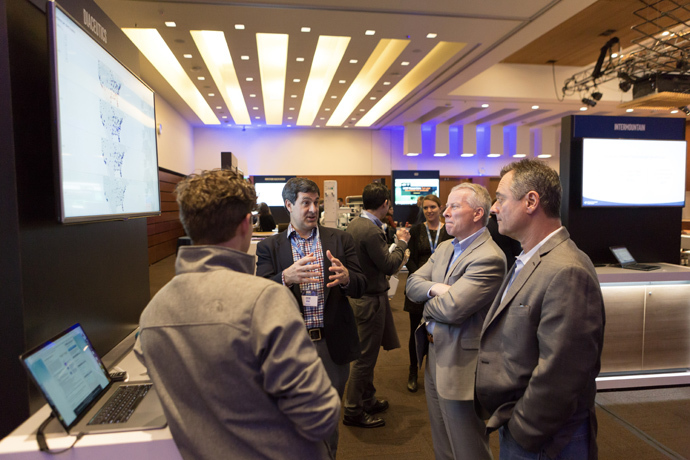 Taken collectively, these partners showed that AI is today’s practice, not some faraway science project. 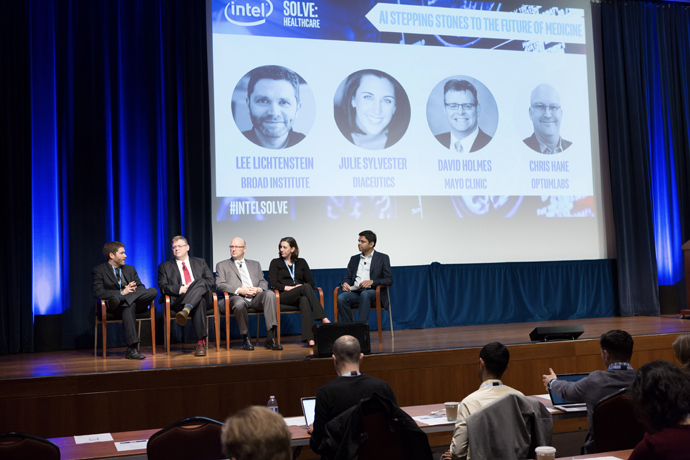 Anyone interested in the future promises and challenges of AI in healthcare should watch the livestream in full. 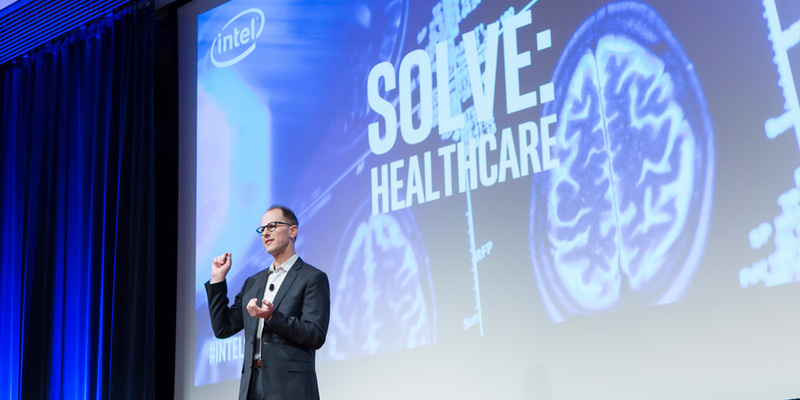 To learn more about how Intel is enabling the healthcare transformation, visit our healthcare portal page or the Intel AI press kit in the newsroom. You can also keep up with the latest technology trends in health and life sciences on the IT Peer Network. Jennifer Esposito is general manager of the Health & Life Sciences Organization at Intel Corporation.